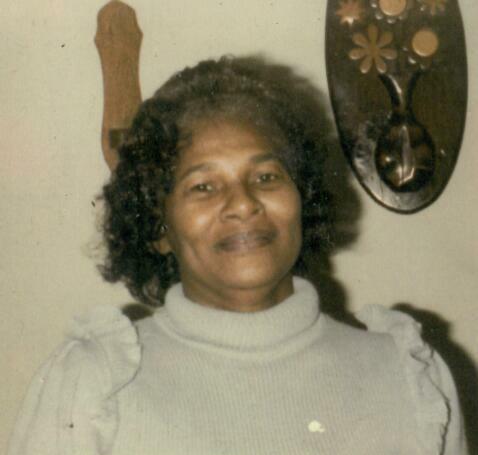 Ruby Naomi (Butler) Holloway, 92, of Willimantic, transitioned from this life on Thursday, February 7, 2019 at her home surrounded by devoted family and friends. Born “Mercedes” Butler, the 9th child of Frank and Louvenia on December 1, 1926 in Melbourne, Florida, Ruby was doted upon by her older siblings. After graduating in 1945 and marrying, she relocated to New York, then Bridgeport, Connecticut, where she gave birth to eight children. In 1979 she relocated to Willimantic, Connecticut. As a working mother, Ruby worked in the garment industry to support her family. She was an avid “indoor gardener,” cultivation beautiful houseplants, as well as an outdoor vegetable garden. Ruby developed a passion for the scriptures and expressed a deep appreciation for the sacrifice of Jesus Christ, her Lord and Savior. In 1976 she dedicated her life to do Jehova’s will the way Jesus taught and was baptized as one of Jehovah’s Witnesses, remaining faithful to her commitment until her final breath. Ruby was a happy woman with a great sense of humor, telling jokes right through her convalescence. She kept her visitors, grand-daughters and great grand-daughters, Malaika, Jenna, Dominga and Cheyenne, who helped in caring for her, laughing and smiling. Ruby is preceded in death by her parents, Frank and Louvenia, her late husband Hosea Holloway, siblings King, Frank, Frazier, James, Richard, Ana, and Rosa, her late companion, William Lee, her son Hosea, Jr., and a grandson, Travis. She is survived by her children Laronya Lee of Randolph, MA; Todd Lee(Missy), Anthony Holloway, Dawn Holloway (Mark Gildea), and Linda Smith all of Mansfield, CT, Denise Holloway of Bridgeport, Ct and Brenda Smith of Harrisburg, PA. Ruby was also matriarch and loving grandmother to twenty-five grandchildren, twenty-nine great-grandchildren, and thirteen great-great-grandchildren, the last of whom was born on the day she passed away. She also leaves behind a sister-in-law, Mary Butler, and a host of nieces and nephews. She loved all of you and hopes to see you again in Paradise. Ruby’s family will receive friends and relatives from 6:00pm to 8:00pm on Friday, February 15 at Potter Funeral Home, 456 Jackson St., Willimantic, CT. Her Funeral Service will be held at 11:00am, Saturday, February 16 at the funeral home with burial to follow at New Willimantic Cemetery. For an online memorial guestbook, please visit www.potterfuneralhome.com.